Post-Conflict Liberia: Can Alaric Tokpa challenge political gravity in Gbarpolu County? Can Alaric Tokpa challenge political gravity in Gbarpolu County? Clayton, Delaware. The man who was once seeing languishing behind bars in the notorious Belle Yallah prison may soon return as a representative of that part of Liberia. Ever since his ascendancy to student politics in Liberia, Mr. Alaric Tokpa has had great interest in creating some form of good political governance through peace, unity, accountability and transparency not only at a student level but national level as well. I’ve recently been looking at Mr. Alaric Tokpa’s educational and political struggles in Liberia and his analogy to unify the now divided electoral district number 3 in Gbarpolu County. While looking at his educational and political struggles/journey, I discovered that his political compass uses the participatory system, while his form of courage and influence among the masses in his political constituency or geography provides somewhat mimic collective political gravitation. Considering the political and traditional complexity and the level of disunity in electoral district number 3 in Gbarpolu County, I’ve been trying to find some computational formula that will fit Mr. Tokpa’s situation. Alaric Tokpa is former chairman of the political science department of the University of Liberia and now Assistant Professor of political science at the University of Liberia. Mr.Tokpa provides consultancy for NGOs/CSOs and INGOs at home and abroad. In addition to teaching and research, his engagement with traditional family farming has given him exposure to and knowledge of the conditions of Liberians in urban and rural areas. From a humble beginning, Alaric rose to become one of the most recognized national student leaders who championed the cause for democracy and economic justice in Liberia. For his part in the struggle for improvement in the conditions of poor and disadvantaged people, he was among the five leaders of the Liberia National Student Union (LINSU) that were sentenced to the firing squad by the military government in January 1982, but who were later reprieved. In 1985, he was again jailed in the notorious, maximum prison of Belle Yellah, where he did hard labour. These experiences did not deter him as his activism for better public services to disadvantage people has earned him an enviable place among prominent members of the Liberian political class. 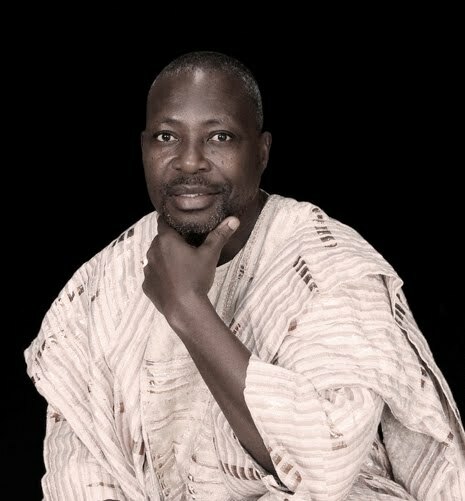 Having taught government and politics for 27 years, he recently decided to link theory to practice by contesting for a seat in the house of representatives of the Republic of Liberia because he believes that strengthening the quality of the legislature is critical to improvement in the quality of executive leadership and the pursuit of national development. Should he succeed, he will be the representative of District # 3 in Gbarpolu County, the land in which he was a political prisoner in the quest for democracy 25 years ago. In a recent conversation with Mr. Tokpa, I asked “The Belle District seems to be the most divided district in your political constituency, are you aware of this? If yes, what strategies do you have in place to permanently resolve the disunity problem?” in his respond, Mr. Tokpa said “when society is less differential and change is secured by persuasion and collective efforts, or the development of social norms as by meaningful legislations that would bring development in rural areas, empowerment of local organizations through education all of which government usually do, participatory democracy becomes meaningful to rural residents. In his view, uniting the Belle District is not going to be an even but rather a process that require collective efforts by all stake holder, student organizations and traditional leaders in the District. This, he said, will be one of his first five priorities in his first few months in office if elected as representative of electoral District number three in Gbarpolu County. Mr. Tokpa said the role of the national government is changing, with modern technology expanding and providing multiple routes to empowerment. He acknowledged serious traditional conflict in the Belle District and the need to quickly begin working on strategies to tackle the problem. Mr. Tokpa who is currently visiting the United States declared his intention to contest the representative seat in electoral District number 3 in Gbarpolu County, a place where he once spent time as a political prisoner. The seat is currently occupied by Hon. Dickson Temo Yarsiah of the ruling Unity Party. The October 11, 2011 elections will be an important milestone in the current development, political, and traditional crises in electoral district number 3. After five years of representation, the ruling Unity party is to face though opposition from different political front lines. Over the past years, accountability, transparency & unity remains highly questionable in electoral district number 3 in Gbarpolu County. This, I believe oppositions will take advantage of during the 2011 campaign and elections. Since the elections in 2005, a number of issues have been raised in the county, including the dispensation of county development funds, the lack of accountability and transparency by the county authorities, and the level of disunity among residents of the Belle District. To date, those issues still exist.